Sitting high in The Ozarks is a mountaintop spa resort that is the Symbol of Hospitality for the State of Arkansas. 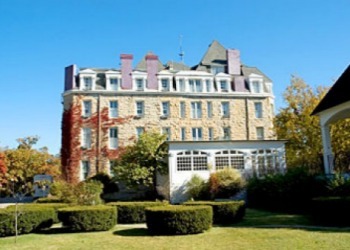 Built in 1886 and a proud member of the prestigious Historic Hotels of America, the Crescent Hotel has been Creating Lifetime Memories as the premier Eureka Springs vacation destination and select choice for Eureka Springs weddings for nearly 125 years. 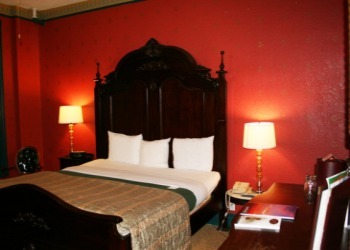 In the mid 1880s, Isaac L. Taylor, an architect who later became famous for his designs for the 1904 World�s Fair in St. Louis, designed a hotel eight miles south of the Missouri border, in the Ozark Mountains of northwest Arkansas. The Frisco Railroad took visitors to Eureka Springs to take part in the healing spring waters of the area. The waters in the area were reputed to have �magic powers.� There are even Native American legends telling of a �Great Healing Spring� in this area. Eureka Springs became one of the foremost vacation spots of that era. A hotel was needed to accommodate these thousands of guests. 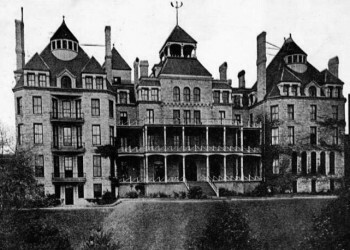 The Crescent Hotel and Spa was built �on the crest� of West Mountain in 1886. The hotel offered electricity, steam heat, and a hydraulic elevator. The resort was a popular year-round vacation destination for the rich and famous for many years, until people noticed the waters weren�t as healing as they had hoped. In 1908, and for the next decade and a half, the resort was used as a women�s college, but still �catered to the tourist crowd� in the summer months. Unable to maintain the high costs of keeping the building open, the college closed in 1924. The building was empty for a few years, until 1930 when it was again used as a college for a short time. A quack by the name of Norman Baker bought the building in 1937. He passed himself off as a cancer doctor with a miracle cure, and opened the old hotel as a cancer hospital. Baker was not a doctor, and had had no medical training at all. In 1936, he had been convicted in Muscatine, Iowa for �practicing medicine without a license.� His miracle cures had been �condemned� by the American Medical Association. In 1939, the feds arrested Baker for mail fraud, and he was sentenced to four years in Leavenworth. The hotel was taken over by investors in 1946, and remodeled as a resort. 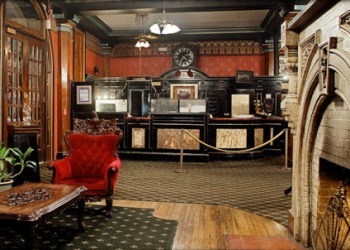 During the remodeling, there were stories of body parts and skeletons being discovered in the walls of the old hotel. Thirty years later, Marty and Elise Roenigk purchased the hotel, conducted extensive and expensive renovations, and the hotel was opened fully restored in 2002.